The Chicago Cubs promote responsible drinking and positive fan behavior at Wrigley Field. The Cubs Fan Code of Conduct and the details of the Cubs alcohol management plan that appear below ensure that fans have a safe and fun experience. Any guest not adhering to the above code or behaving in an unruly manner may be subject to removal from Wrigley Field. 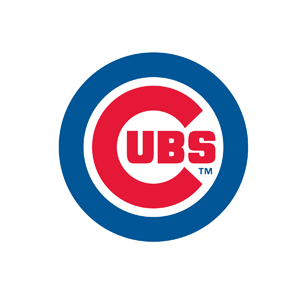 The Chicago Cubs and Wrigley Field reserve the right to determine what is unruly or unacceptable behavior and to take any and all actions permitted by applicable law, including without limitation removal and prosecution. If anyone is interfering with your enjoyment of Wrigley Field, please contact the nearest Wrigley Field Associate for assistance or text our fan assistance hotline at 88019, Keyword “FAN” and identify your seating location. The Budweiser Good Sport Designated Driver Program encourages guests to pledge not to consume alcohol during their stay at Wrigley Field. Guests who are at least 21 years old, have a valid driver’s license and are not consuming alcohol at the ballpark can sign up at the Fan Services Booth, located behind home plate on the main concourse, during any home game. Fans who participate will be entered in a drawing to win a complimentary Cubs Good Sport of the Game shirt. Participants also will receive a token for a free soft drink, valid at any permanent concession stand.